The plague of 1918 A.D. The mortal world is in a state of devastation. 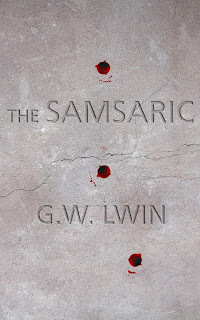 A woman wakes up in an abandoned temple of Kali, the goddess of darkness, in the ancient city of Gaya. She does not know where she is. She does not remember the events leading to this. She only hears the familiar voice of a tormented man who has haunted her dreams. He tells her a story - of a time of souls and suffering, of immortality and gods, of life and death. This, he says, is Mesopotamia. 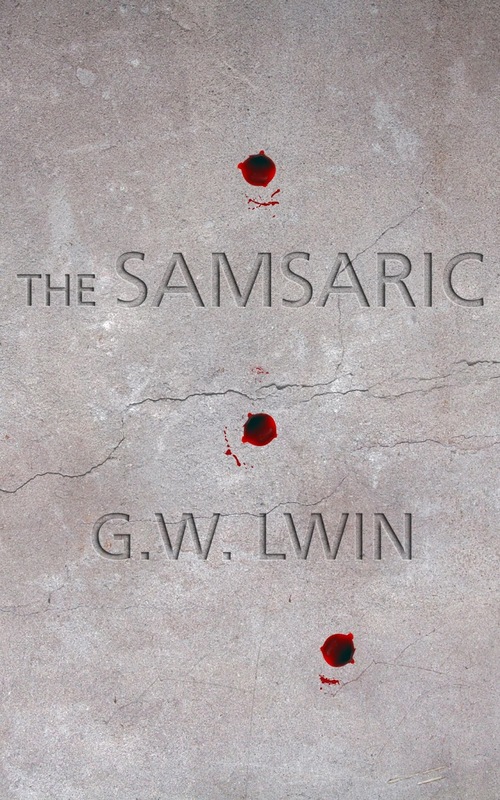 The SAMSARIC is a fast-paced fantasy-horror novel full of history, horror and vampirism from an ancient era. hen I wake, there is darkness, and nothing but it. I am drowning in the endless blackness, as pain joins its partner and wraps itself languidly around my shaking frame. Breath is a heaven I just can’t quite reach, and my heart rams itself into my chest, sending waves of terror through my veins. I open my eyes. Suddenly, all is still. “Where am I?” I whisper. I do not recognize this voice of mine, weak and wheezing, pulling at my very core with each word. I reach out with grabbing fingers, hoping to grasp at something, anything, that might help jog my memory, but all I find is endless dust and an unbreakable wall that parts my mind. A flicker as a silent candle lights the air. Fear courses through me, my pulse incessantly pounding in my ears. “Who’s there?” I squint through the dim light, eyes burning. I scuffle for my awareness, but fatigue plagues my body and I can hardly bring my legs up from under me. I blink as the word of death enters my mind, bringing a vague sense of familiarity with it, but the moment of clarity is gone in an instant. I shiver as I realise—I don’t even know my own name. “Who’s there?” I repeat. Though this time, I can’t mask the sliver of fear that has snuck into my voice. Exhaustion threatens to pull me under its hood again, but I fight it as hard as I can. I scream and force myself to shrink away from the strange voice arising out from the darkness. Who is that? A murderer, probably, or a kidnapper, or … my breath comes in shaking gasps of terror, and hysteria threatens to tip me over the edge. I’m going to die, I’m going to die, and I don’t even know my own name. “Please, it-it’s all right. You’re going to be fine,” comes the voice again, as if he’d heard my thoughts. The voice, I hear now, is distinctly male, soft and gentle—tentative. I relax only slightly—he doesn’t sound much older than I am. My vision starts to recede as darkness seeps its way into my core, but I blink any leftover hysterical tears fiercely away and silently begin to search around me for anything sharp or even remotely dangerous to use as a weapon. “I-I’m not afraid of you,” I yell out vaguely into the dark void. Exhaustion fills my voice, and my bones shake with fatigue, but my resolve is stronger. A low chuckle from the other side of the room makes the hairs on my neck rise in fear. “I believe you,” the voice calls out in response. I love anything that comprises the old and the ancient full of rich history and spirituality. For me, reading and learning from our ancient past is truly a beautiful, unique and intriguing journey. From a young age, I have felt that there were two versions of me: the old spiritual one and a young soul who still lives in his fantasy world. However, both of these versions share one commonality - my interest in vampires from the ancient mythology and beliefs. I was mesmerised by their folklore since young. The need to express is very strong within me. Writing, for me, provides this gateway and helps me to grow as a person. It is a life-long learning path that I gladly embark. As a writer, I would like to improve each and every stage of writing, to possess the art of crafting words to communicate the emotions that arise from within to the readers ... a vision shared by many authors. Loved the plot & cover!